Lock in a great price for Floral Villarosa – rated 8.8 by recent guests! Quiet neighborhood compared to the rest of the city, but with restaurants and bars available nearby. Nice room, with big bathroom and a very nice terrasse. Swimming pool is very lovely and clean. Really good experience before to go back in Manila. Loved the staff - very friendly and happy. 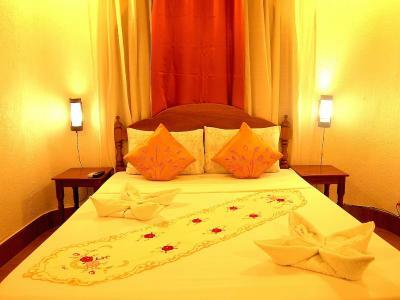 Place is very pretty and quiet - rooms are pleasant and clean. The staff went above and beyond every time we asked for something. They were friendly and very hospitable. We loved the extra touches, especially on Valentine's day! 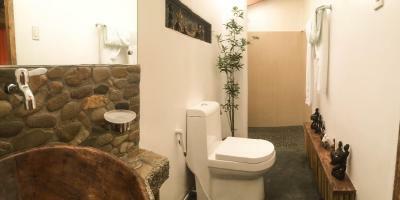 The staff was really friendly and everything was nice and clean. The garden is also beautiful. I like the interior of the hotel/resort. 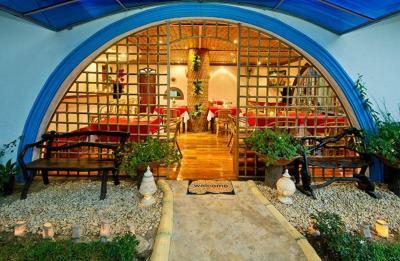 Friendly staff, nice swimming pool with waterfall, nice arrangement of rooms near the swimming pool, there is outdoor table, welcome drink and the filipino breakfast is yummy. Cozy hotel , with few rooms . Run by a family thus feels more intimate . 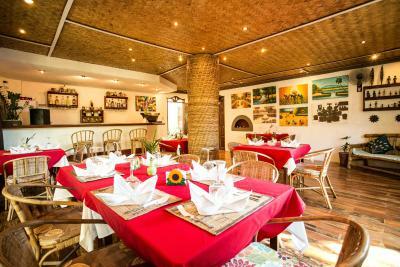 Wide variety of foods in the hotels restaurant . The staff was very helpful and friendly. 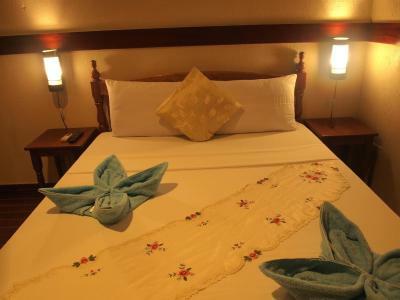 The rooms were very nice and bathrooms are large, open and well appointed. 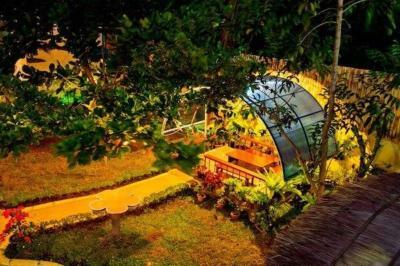 It’s located in a quiet area of Puerto Princesa but well located for access to malls and other sites within 2 to 3 Km. 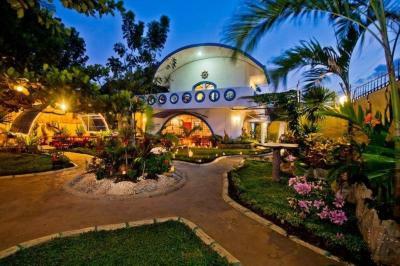 Floral Villarosa This rating is a reflection of how the property compares to the industry standard when it comes to price, facilities and services available. It's based on a self-evaluation by the property. Use this rating to help choose your stay! 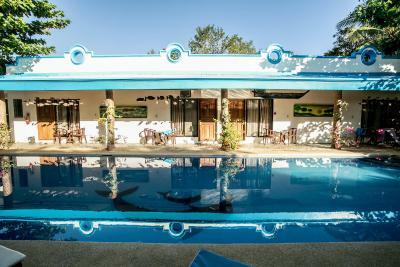 One of our top picks in Puerto Princesa.Located just a 5-minute walk from Nasin Aw Beach, this property houses an outdoor swimming pool surrounded by landscaped gardens. 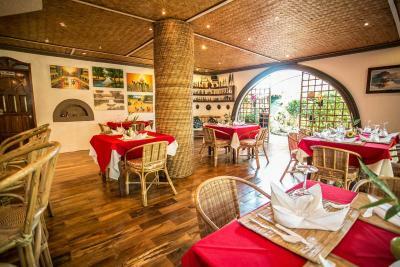 It also features a restaurant, complimentary Wi-Fi access and free public parking spaces. 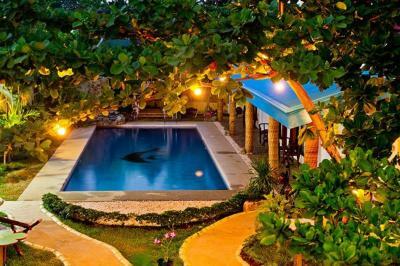 Floral Villarosa Pool is a 5-minute drive from Puerto Princesa International Airport and an hour’s drive from Puerto Princesa Underground River. 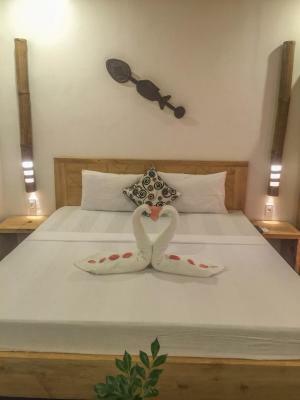 Fitted with wooden flooring and a balcony with pool or garden views, the air-conditioned rooms feature cable TV, a wardrobe and a seating area. 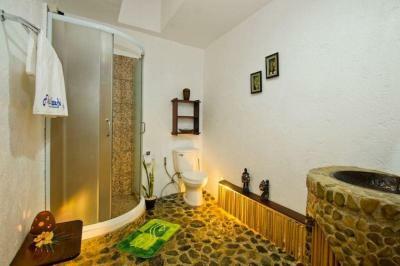 The private bathroom comes with hot and cold shower facilities. 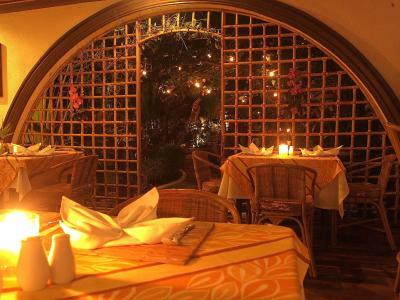 The restaurant serves international delights alongside a selection of refreshing drinks. Guests can request for a relaxing massage, or head to the 24-hour reception for assistance with luggage storage and airport shuttle services. 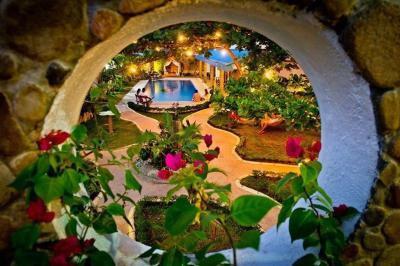 When would you like to stay at Floral Villarosa? 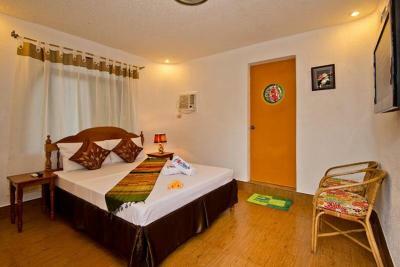 Fitted with wooden flooring, the air-conditioned rooms feature cable TV, a wardrobe and a seating area. 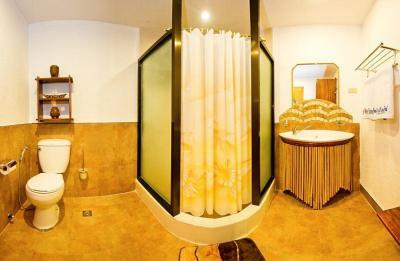 The private bathroom comes with hot and cold shower facilities. Rooms offer a balcony with pool views. House Rules Floral Villarosa takes special requests – add in the next step! 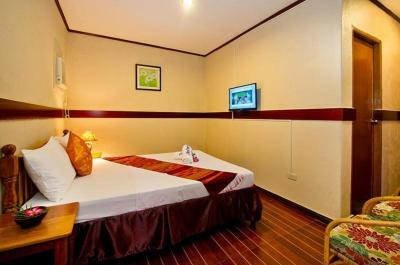 Any additional children or adults are charged PHP 650 per night for extra beds. 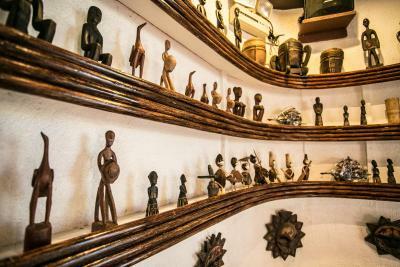 Staff were extremely friendly and accommodating. Perfect hotel! 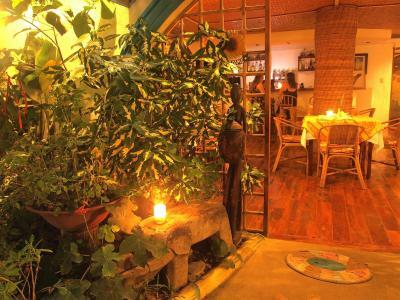 Quiet place, small amount of rooms, perfect ambience. Many sculptures, rich garden. Nice personal, good kitchen. Best hotel we´ve been (4 hotels total). 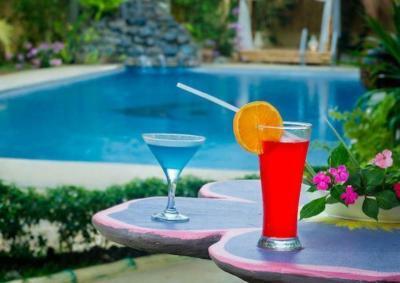 Swimming pool is very clean and a joy to swim in. Staff were very helpful. Good location for Puerto Princessa, at the end of the day its a busy city so throughout the city the locations aren't amazing. 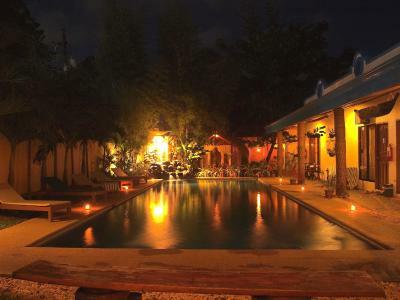 Perfect for a couple of nights before flying home or after flying in to Palawan. Roosters crowed all night long and kept us up. Staff were very welcoming and couldn’t do enough to help you. Trip to sabang underground river was brilliant. We would have liked to have a fridge in the room so we could store our own drinks. The bed was reasonable comfort. The staff were super friendly and helpful. I don’t have any criticisms. The swimming pool was milky and appeared unclean. The WiFi was poor and at times offline. The television was unwatchable on the 2 main movie channels with a very limited alternative selection. 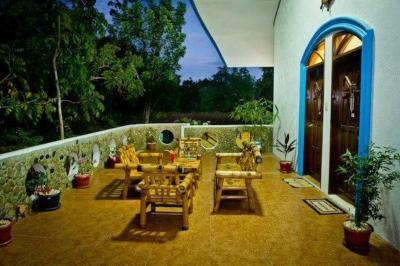 The staff at the property were very helpful and friendly which made our stay very homely and relaxing. Special mention to Angie for outstanding customer service always with a smile. The food onsite was of a high standard well cooked and presented with a good selection. The property arranged airport transportation for our arrival The outside seating area on our upstairs room. They were not there to pick us up as promised. 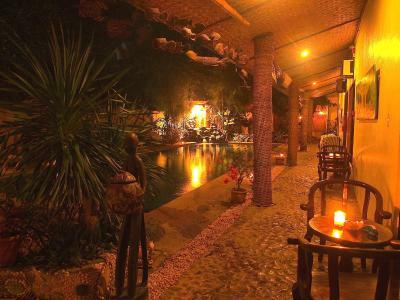 I checked by email and reminded them and we arrived at night, so not happy that there were not there! Breakfast was good, room was clean, pool area was nice and peaceful. Location was ok.